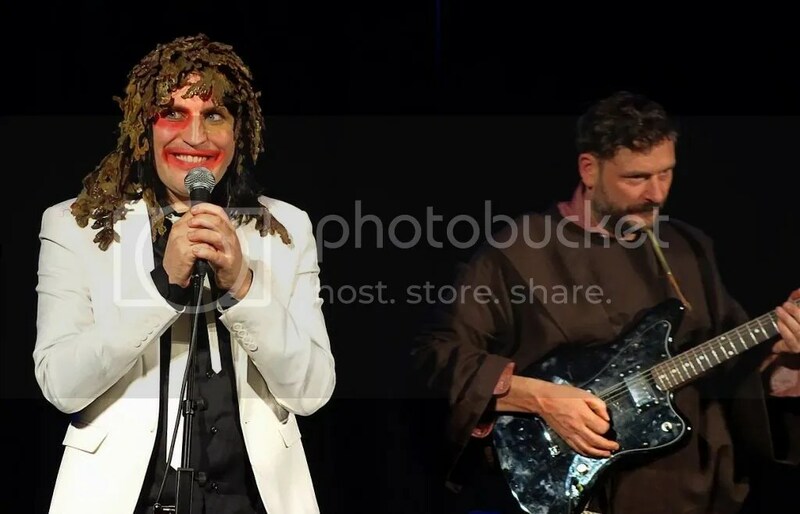 Last week’s Boosh shows at Soho Theatre were marked by their unexpected degree of polish; by contrast, this Thursday’s show at The Pleasance Islington felt very much like being let in to watch a rehearsal (which, afterall, is exactly what a warm-up is). What’s surprising is that the evening was none the worse for it. For the assembled audience, the technical glitches and subsequent on-stage ad libbing felt like being invited in to watch – and be part of – the inner workings of Boosh. We got the chance to spend an evening in their company, as opposed to simply watching them perform on stage. 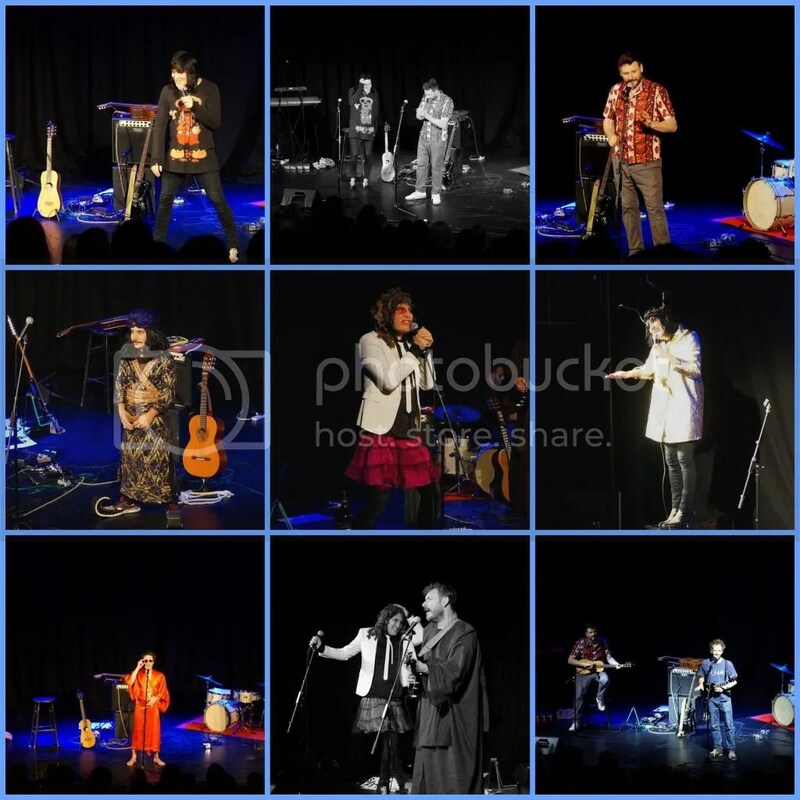 Although none of it was planned, there were many moments that made this gig feel special: the ad hoc dialogue between Julian Barratt on stage and his adorable kids in the front row; the sight of three monks leaning helplessly over a silent drum kit; Noel Fielding‘s never-ending impersonation of a fold-out map; and the clever one-liners, glances and giggles that frequently erupted from the stage. The Boosh Band performance which wrapped around these improvised moments was still solid and vital, carried along by the bubbling on-stage chemistry between Noel and Julian. It’s a credit to their professionalism and talent that the show lost none of its life force and charm when events nudged it along a different path. 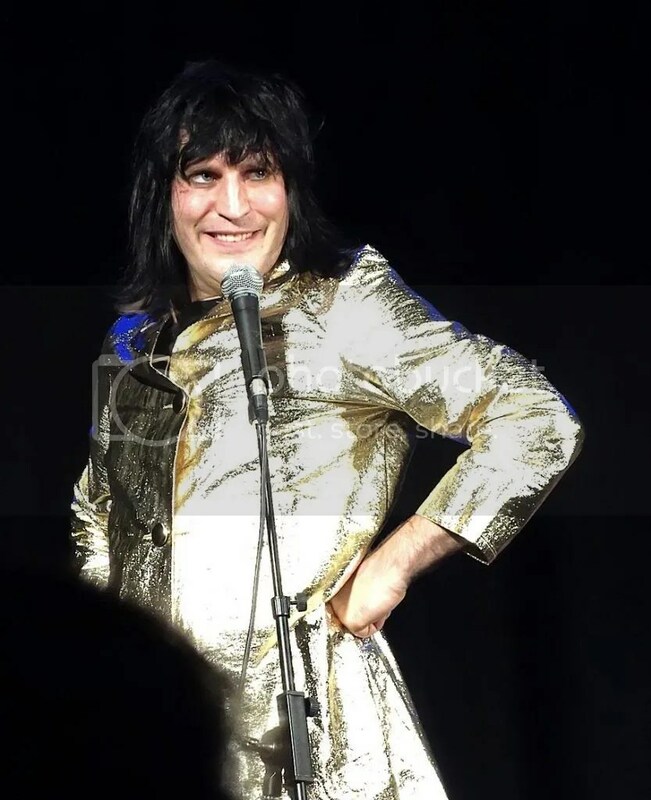 In fact, the verdict afterwards from the Boosh friends and family who turned out in force for the gig was that it was like being back at the Hen & Chickens all those years ago. A little shambolic perhaps, but that’s part of their charm – and the magic is still very much there. For those of you who want the spoilery details, check out The Mirror’s review (it’s nice to see a tabloid being supportive for a change!). What a great report that evokes great memories. I came from another country for this show and was really charmed and impressed by the atmosphere and everything. Would certainly do that again if I have an opportunity. Great review (as ever) Mog. I have come to recognise your writing now – if it had a flavour it would be extremely palatable and definitely something I would keep in my cupboard as a tasty snack! You seemed to capture the essential ingredients of the evening very well indeed. 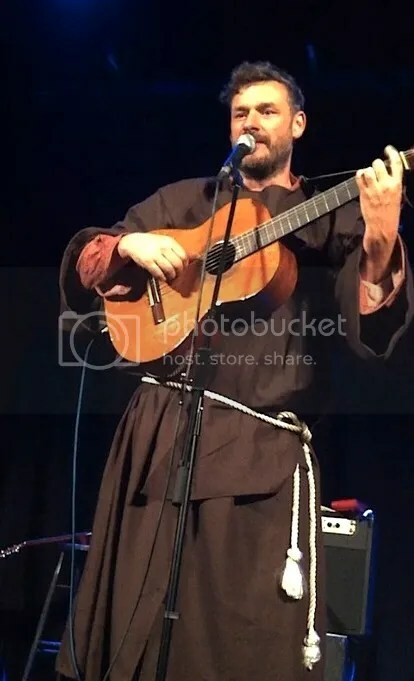 It is good to see the Boosh performing together again – as a shambolic creative unit tossing ideas around and making it up as they go along (sometimes). I really do believe they all work together so well – it is a shame for them not to celebrate their fabulous, flambouyant chemstry on stage. It would be great if they did another tour. I remember those times with fondness. Aww, thank you – that’s very kind. It helps to have something so good to write about! 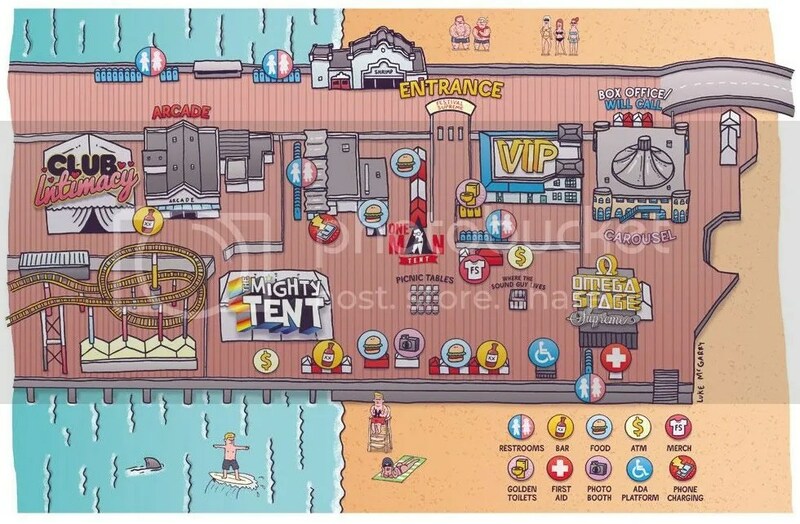 Thanks for the festival map! It’s a huge help 🙂 I was wondering where everything was going to be.